RVB: 00:02.785 Hello everyone. My name is Rik, Rik Van Bruggen from Neo Technology, and here we are again, recording another Neo4j Graphistania podcast session. And today I'm joined by one of my colleagues actually, in the Neo4j engineering team, Craig Taverner. Hi Craig. 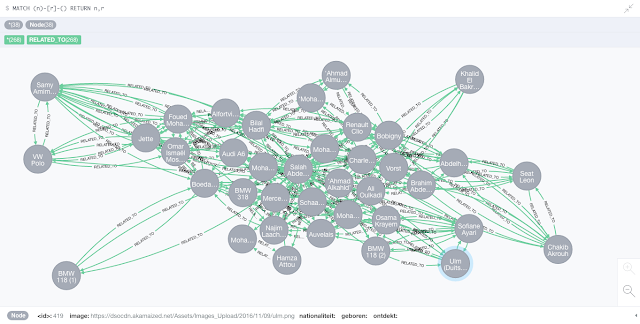 Oh man - things are heating up in the graph space, and keeping me super busy. After announcing our Series D last week (read more over here) I barely found the chance to publish this interview with Evelina Gabasova about graphs, Star Wars and biotech. Listen or read the full interview below. RVB: 00:03.805 Hello, everyone. My name is Rik - Rik Van Bruggen from Neo Technology, and here we are again. It's been a while. We're recording another episode of our Neo4j Graphistania podcast, and today I have a wonderful lady from the beautiful lands around Cambridge, on the other side of this Skype call. And that's Evelina Gabasova. Hello, Evelina.